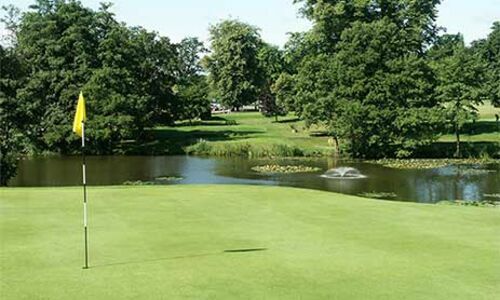 Whether you are an absolute beginner learning to play golf for the very first time or if you are returning to the game and wishing to improve your golfing skills then the Calcot Park Junior Golf Academy is where you'll want to start. If your golfing ability is at a good standard already and you wish to take this further and improve your game to the highest possible standards, even to professional level, then have a chat to the team at the Calcot Park Junior Golf Foundation. Then, again, you may be so keen to start playing that you are wanting to join a golf club now and get playing as often as you want. If this is you, then click on the link for details of becoming a Junior Member at Calcot Park - one of the Thames Valley's premier golf clubs. At the Junior Golf Academy we will teach you play the game of golf, teach you the rules and develop your skills whilst your making new friends and having fun. Eager to get going? Then take the plunge now and join Calcot Park as a Junior Member. We will assist you all the way, even helping you to get an official golf handicap. The aim of the Junior Golf Foundation is to give young golfers of all ages and ability the opportunity to move on and develop their game to the highest standard possible.